The Easter bunny is coming to Copenhagen! 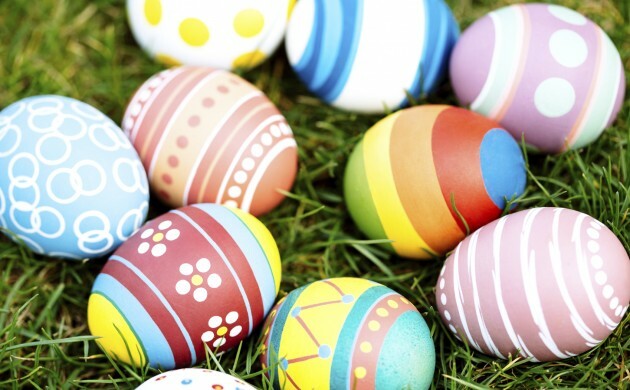 Easter is quickly approaching and you haven’t made any plans yet! Don’t panic! Copenhagen has so many, they’ve lent us a few (geddit? ), and below are five great ideas that will put a spring in your step and help you to enjoy the holiday and warmer weather. There’s no better plan to celebrate Easter than in blossoming Copenhagen, so there’s no excuse for not keeping your whole family entertained over the Easter holidays. Children and adults have a wide range of activities to choose from, including painting shark’s eggs at the aquarium and combing through flea markets. So what’s keeping you: embrace what the city has to offer and enjoy your break! Easter time is family time at the Blue Planet. Every day over the holiday period, your children will be able to attend its Easter Workshop. With no age limit, the Blue Planet allows children of all ages to experience Easter traditions in a creative way, including cutting out and decorating the classic ‘snowdrop letters’, also called gækkebreve in Danish, and painting shark eggs. This year, SMK is celebrating Easter by inviting everyone to the Yellow Worskhop, a creative experience that focuses on the colour most people associate with Easter. At SMK’s Easter workshop you can let your creativity loose and experiment with everything yellow: pens, paper and even feathers! If you feel inspired by the aesthetic of Easter, you can even send an elaborately designed snowdrop letter to someone you love, writing in a secret dot-language instead of letters. Copenhagen Zoo has been appreciated for many years its interactive nature, allowing visitors to experience wildlife in a truly memorable way. And now the zoo has done it again, opening up the opportunity for anyone interested to become an egg-spert! Experience the egg-citing activities that are based all around eggs, including making jewellery from hummingbird eggs and seeing a giant ostrich egg being fried! You can attend the Easter Flea Market in the heart of Copenhagen where you will be introduced to an impressively large array of vintage, retro and thrift items. If you want to, you can take a look at the vintage jewellery, or maybe you’d like to look through the vintage books that you probably can’t find anywhere else! Take your family over to Sweden for an Easter party at Fredriksdal Museum and Gardens, where you kids can take part in a morning full of activities. Children are advised to bring colourful fabric strips, two hard-boiled eggs and a rattling instrument to use in the activities.